Are you ready to stop smoking cigarettes? 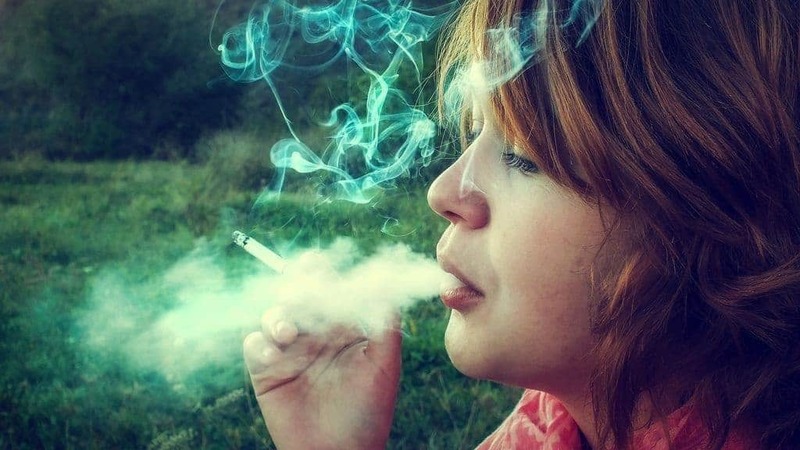 Does she really want to stop smoking? It’s not so easy to stop smoking cigarettes. I watch my team mates commit suicide everyday, as they stand outside our office smoking cigarettes. The pollution from the tar and other chemicals entering their bodies are killing them, and they know it. They are not ready to stop smoking! I care for my team. I am invested in their future. Together we are building skills that will deliver benefits for a long time. But, I am concerned that the value and longevity of these personal development investments are being cut shorter every time they are smoking a cigarette. When I gave them gifts of healthier electronic cigarettes, hoping it would help them stop smoking, the team returned to harmful cigarettes three days later. So I wanted to understand what was the root cause of their interest in smoking cigarettes. These are well educated, smart, dependable family people. They are religious, faithful muslims. Why do they continue to smoke cigarettes which they know are harmful? I asked them why they think they smoked, looking for a logical reason. None of them felt they are addicted, they can stop smoking anytime. No, peer pressure, fashion status or looking good were not compelling reasons to smoke cigarettes. Yes, they understand cigarette smoking is unhealthy. They realize it’s money they can’t afford and can spend more wisely. And, yes they are familiar with alternatives to smoking cigarettes. Nabila says she does not have a real reason she smokes. Mohamed says he likes smoking, but struggles to define what he likes. Imad does not like smoking, he says it smells miserable, and that after every cigarette he sprays himself with a fresh scent. Yet, they won’t stop smoking cigarettes. Why? Researchers say smoking is just another addiction, and that my colleagues are ignoring reality, by not coming to terms with their own addiction. I am not buying that simple answer. My colleagues have demonstrated they could stop smoking on demand. During the holy month of Ramadan, they stop for 30 days or so, without any negative effects. They pick right back up where they left off. Users of nicotine patches and gum alternatives to wean themselves off smoke addiction fail 93% of the time. Other pundits propose the stress explanation. People smoke because they are taking a break from a bad boss, or they have one or more difficulties in life that makes them worried. The result is they turn to smoking cigarettes to calm the nerves. This is a weak argument. It is possible, but not likely to explain my colleagues. They have a pretty good boss, and smoke even when they are celebrating. After looking at every angle, I reach a simple conclusion, that we don’t always act in rational ways. It’s irrationality that makes us human, that we are indeed fallible and will not act in our own self interest. Behavioral scientists will disagree with that last statement, as they believe that humans always act in their self interest. In many cases they are right, but those scientists look silly when they go through contortions to engineer reasons why doing something “bad for you” is in your self interest. My belief is proven by my colleagues who continue smoking cigarettes, it’s normal to make irrational decisions. How can you stop smoking cigarettes? We know that providing you with all the rational arguments or aids are not sufficient. We have used fear (e.g. you will die if you don’t stop) trying to scare you into stopping. We have appealed to your emotions (e.g. your children need you around longer), and we have used logic (e.g. you are wasting your money). None of those work very well when coming from an outsider. You must be ready to, you must want to stop. Your strong interest in stopping makes you stop. Maybe you want to save money, or want to be a good example for your children. Whatever reason makes you want to stop smoking is up to you. Come up with a good reason to stop smoking, that is compelling to you, then look for advice or help on how to stop smoking. Until then, you can’t stop smoking cigarettes! I was smoker once upon a time but now i am not a smoker and it is great experience for me. Thanks for this nice and helpful article. Thanks for this informative article and sharing your thoughts. I personally believe that if you have strong will power only then you can quit smoking. 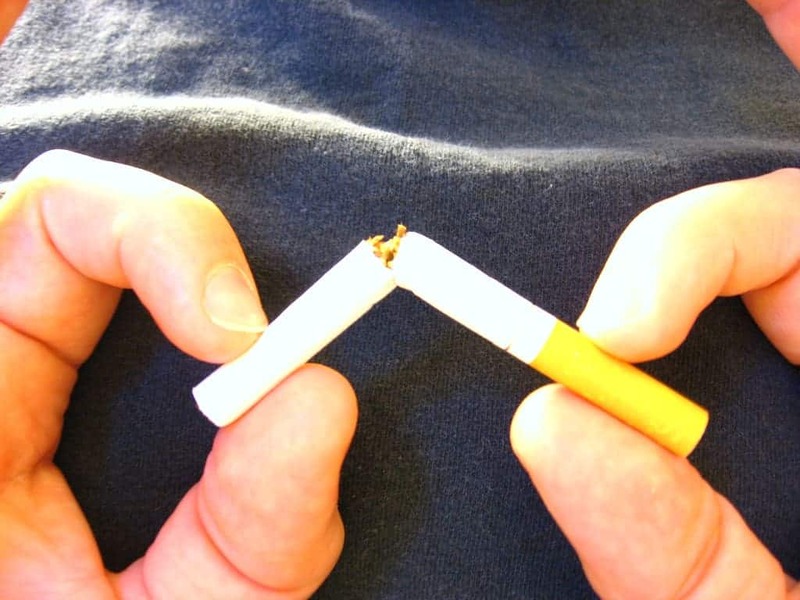 Many people stop smoking and look for alternative ways but after some time they come back to their original habit and are never actually able to give it up. They need to realize that it is really harmful for their health and they should quit it. I am not really a smoker. I hate smoking. I dont want to die early. Thank you for sharing this informative and great blog. This is great article and i quit smoking two years ago. After some months slowly when I didn’t know I had already quit.You are right , you must have a reason and you must decide.If you can replace a bad habit it will be easier. hihi, this post will help many people quite smoking! Thanks for the article very helpful and i will pass it along to some of my clients that are looking for forum type of help and support. Thank you for sharing your insights on this subject, What wonderful ideas!! Thanks for the great round-up and linking up. I have just forwarded this link to my buddy who is addicted to smoking. Thanks for this piece…. you are very right stop smoking is not so easy for an addict person.The points you suggest very nice.I think the will power is very important to quit smoking. This is great stuff.I quit smoking three years back when I started jogging to lose weight and be healthier.I was smoking during the day and running in the morning.Course I would get the initial concussion in my chest every-time when I started to run but I just could not quit.After some months slowly when I didn’t know I had already quit.You are right , you must have a reason and you must decide.If you can replace a bad habit it will be easier. I think the best way to stop smoking is using Electronic Cigarettes, I use to smoke 20 traditional cigarettes a day and now through using my E-cig I have almost kicked the horrible habit, its working for me! I agree with John and several of the other commenters… Ecigs are definitely the way to go to quit smoking nowadays. I tried many, many times with every quitting method you can think of… gum, patch, pills, cold turkey, warm turkey… it just didn’t matter. I was able to do with with ecigs though. I think that health experts are hesitant to get behind ecigs because they don’t want to be wrong and have it come back to bite them so they are being super cautious. The research that has been done seems to indicate that vaping is definitely more safe than smoking and that it does help people quit (and stay quit). My whole family of seven, except me, smoked and could not understand my negative reaction when we were in a closed car and all the cigarettes were lit.! Hii,,great article..smoking is very harmful for our body.But quitting from smoking is not so easy for the person who are addicts..you give very good information about quit from smoking…thanx for sharing this its useful for the smokers who want to quit….thanx for sharing this information. Boy oh boy, this blog post hits home. I’ve tried quitting smoking more times than I can count. I tried every product on the market yet the desire to smoke always broke me down. Eventually I hard about these new vaping devices, while it’s not the best solution I have been smoke free for 5 years. For people who have a really hard time quitting smoking, I recommend trying an E-cig in my opinion they are a safer alternative. Of course the best solution would be to rid yourself of nicotine all together. But this could be a first step for some..
Hi Leon, I quit smoking about 18 months ago using e cigarettes. I then slowly reduced the nicotine level in my e-liquid until I was completely free of nicotine, I did try other methods before but they just didn`t work for me. So I was just wondering what is your opinion on e-cigs ? The hard thing about switching to e-cigs is actually get the nicotine level down. In order to “quit” completely, you need to gradually reduce the levels until you eventually reach zero. The Complete Lung Detoxification Guide: Find out how to cleanse your body which helps people who smoke to Quit smoking, advice for how to detoxifying lungs and detox diets plan to keep the lungs healthy and balanced Forever. Thanks for the read, excellent article. I myself used to struggle to quit smoking for years. I tried nicotin patches and all that stuff. Then I found E-cigarettes which I’m using all the time now, without any nicotine in the e-juice. Even during Ramadan or Ramazan Muslims quit smoking cigarettes. Perhaps, this is the best possible time for the Muslim people to start their mission to quit smoking.